Email is a critical element of any B2B marketing program because it enables you to communicate with your customers and prospects on a schedule that you control. In addition, if you grow your email list over time, it can become a strategic asset that can help you grow your business. And, don’t forget that costs per-person emailed actually decreases as your list gets larger. Like any marketing technology, email marketing platforms very widely in their features and usability. 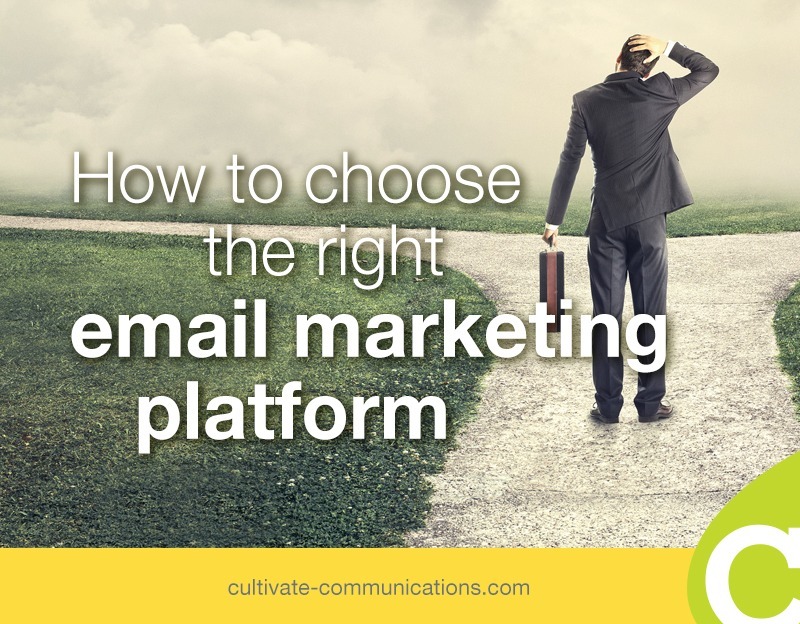 Here are some tips to select the right email marketing platform for your organization. Personalization. Personalized emails almost always perform better than those that are not. Look for email service providers that enable you to personalize subject lines as well as the body of the message. A/B testing. You can never be sure what your audience will respond to. That’s why you need to run experiments with your emails. The concept behind A/B testing is simple: Create two variations of a headline, call-to-action button or other page element and send them to a sub-set of your list (e.g., 500 people each). Then, see which one performs best. Once you declare the winner, send that version to the rest of your list. Performance tracking. To what extent can you track audience interaction with your emails? You not only need to track message open rates, but also click throughs for each of the links within each message. Templates. How easy is it to set up templates within the email platform? Does the email platform vendor need to create the templates for you, and at what cost? You’ll want a lot of flexibility here, especially as you segment your list. Be sure you can customize templates with your organization’s branding requirements. DNS, SKF and DKIM certifications help receiving mail servers verify the authenticity of your messages, which helps improve deliverability. Your email provider should be able to help you create these settings on your server. Ask if the provider “seeds” client lists with email addresses, so it can verify the deliverability of each of them and can identify any problems before they become major issues. Ask if your messages will be sent out from a shared IP or via a dedicated IP address. If it’s the former, you have little control over the reputation of that IP address. If another client is spamming its lists, your deliverability could suffer. With a dedicated IP address, you will be the only domain sending email over it, which improves your reputation and therefore your deliverability. On boarding. What resources does the email platform provide to help you move your email lists over to their platform? Do they offer training or live support to help you solve common problems? Support options. How quickly can you reach someone to help you solve a problem when it occurs? You should have the option of working with a human being when you run into big problems that need to be solved immediately, whether by phone or live online chat. Open your wish list of rated features and add columns to the right for each of the email platforms you are considering. Once again, rate each feature on a numerical scale based on the extent to which it supports the functionality you need. Once you’ve identified one or two email platforms that appear to be a good fit, request a trial use. You need to determine how well each tool fits into your workflow before you make a final decision. Select the email platform that is the best fit for your company. Import your lists and set up your templates. Then, you’re ready to go. Good luck with your new email platform!